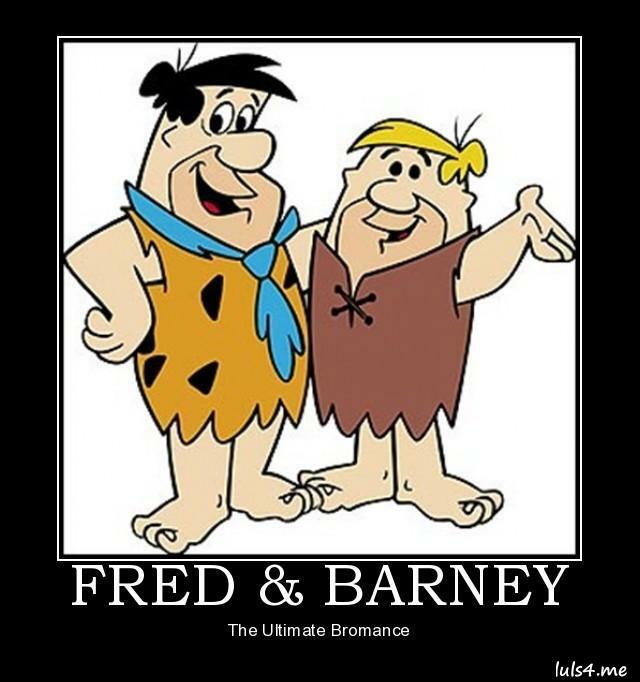 Always up to something, Fred and Barney are total bros. When either of them is in need of help, whether it be dealing with thugs, their wives, or even dressing in drag together to win a pastry competition, the other is quick to step up and lend a helping hand. The two even work together at the Slate Rock and Gravel Company. While seemingly having opposite personalities at first – Troy a popular jock and Abed a media-obsessed geek – the two Greendale Community College students quickly formed a tight bond, hosting a campus morning show together and inventing their own handshake. Eventually, Troy and Abed moved in together so they could continue their fun together at all hours. Vince, E, Drama, and Turtle are virtually inseparable as they traverse the Hollywood scene together. When actor Vince hit it big in the movie industry, he took his best friends (and brother Johnny Drama) along with him for the ride. Drama is also an actor, while Eric becomes a talent manager, and Turtle dabbles in a few side businesses, trying to find success on his own. The Simpson men each have a friend who’ve they’ve known practically their entire life. The apple obviously didn’t fall too far from the tree, as while Bart is the impetus for Milhouse getting into sticky situations, Homer is the one who introduced Barney to beer, pushing him into years of alcoholism and failed opportunities. When Danny suffered the death of his wife and had to figure out how to raise three young girls on his own, his buddy Joey was quick to step in (and move in) to the Tanner family home. Joey becomes a second father to DJ, Stephanie, and Michelle and an integral member of their family unit. The jokester and impressionist knew just how to keep the mood light around the house. 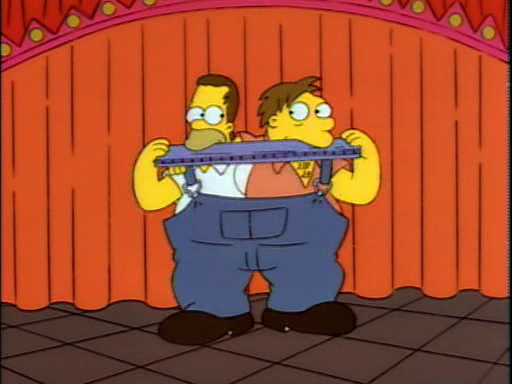 Upon further inspection, Harry and Lloyd have only each other. No one else could possibly tolerate these two idiots for long enough to form a bond. While not the brightest guys in the world (in fact, far from it), they are decent human beings who are only held back by their complete lack of intelligence. Poor Ethel was put into so many awkward situations and got into so much trouble because of Lucy… but she probably wouldn’t have had it any other way! Lucy definitely made life interesting for the housewives through her various schemes. Actresses Lucille Ball and Vivian Vance were friends offstage, as well, which likely helped with their chemistry. 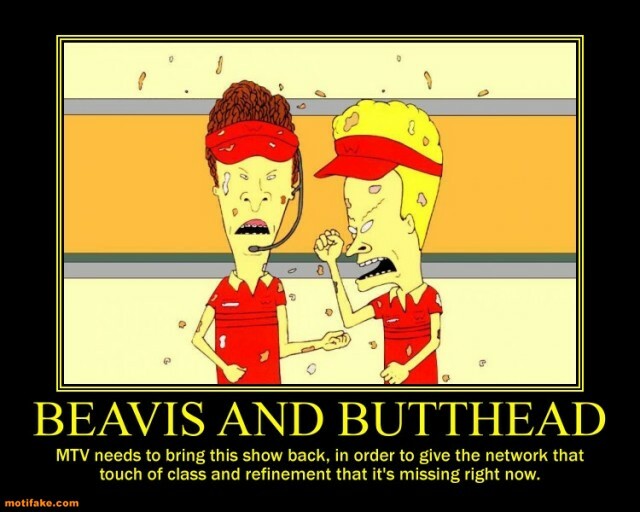 Beavis and Butthead were partners in crime (sometimes literally) as they wasted great chunks of their life together, watching music videos, idolizing all the wrong people, and chasing after women outside of their league. In flashbacks throughout the show’s run, you get a sense that the two only had each other and that’s all they ever needed. They may simply be roommates (or are they? ), but Bert and Ernie come as a package deal. The only thing that could possibly come between the chums is Ernie’s rubber ducky, but that’s only for tub time. Bert sometimes grows frustrated with Ernie’s antics, but in the end, the two learn a lesson together, which is also imparted on youngster’s watching at home. 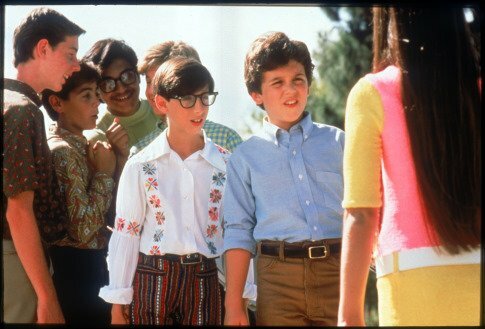 Before Topanga entered Cory’s life and took over the “best friend” role, Shawn was his preeminent pal, as the two tried to survive growing up together. From grade school all the way through college, there was rarely a time when the two were apart, with Shawn even living with Cory and his family for long stretches of time. How are you spending Friendship Day? Make sure to share some time with the folks that make you who you are and you couldn’t live without! You know, this shot didn’t taste that bad. Did it taste like a roasted marshmallow? 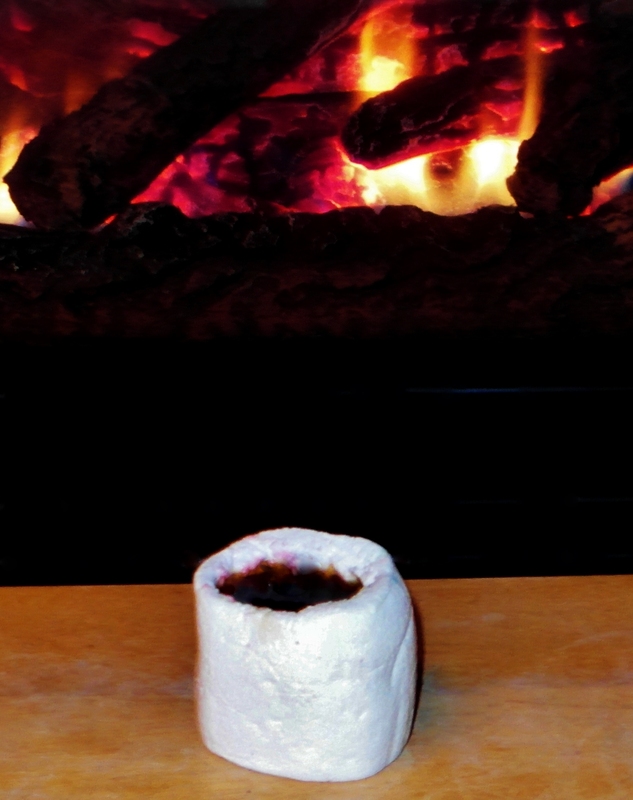 Perhaps a little, thanks obviously to the Marshmallow Vodka and even to the Scotch and its smoky aftertaste. The addition of Chocolate Liqueur should change the recipe to being call The S’more or something of that ilk. Massive credit to my wasteland of a brain for coming up with putting the shot directly into a Giant Marshmallow!